Simply put, Thinking Through Statistics is a primer on how to maintain rigorous data standards in social science work, and one that makes a strong case for revising the way that we try to use statistics to support our theories. But don’t let that daunt you. With clever examples and witty takeaways, John Levi Martin proves himself to be a most affable tour guide through these scholarly waters. Martin argues that the task of social statistics isn't to estimate parameters, but to reject false theory. He illustrates common pitfalls that can keep researchers from doing just that using a combination of visualizations, re-analyses, and simulations. 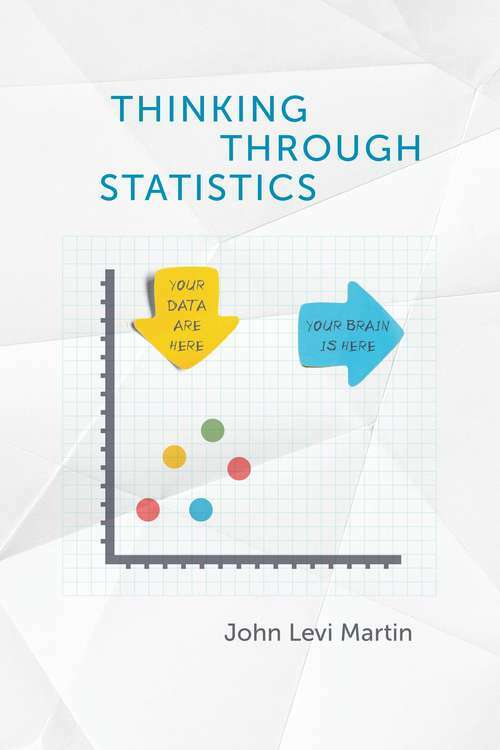 Thinking Through Statistics gives social science practitioners accessible insight into troves of wisdom that would normally have to be earned through arduous trial and error, and it does so with a lighthearted approach that ensures this field guide is anything but stodgy.